It is always a pleasure to show and sell Lake San Marcos homes–whether they be golf condos, lakefront homes–or one of the retirement properties at Lake San Marcos Chateaus. The choices in types of residences for all ages are among the best in all North County. Single story Private end unit with patio. Quick walk to the lake, San Marcos Country club, pools and shopping. Freshly painted and upgraded windows. Highly desirable first floor Bordeaux corner with two bedrooms/two baths/two patios. Location provides short distance and easy access to the Community Center/Dining Room and your assigned parking spot. Kitchen upgrades include: recessed lighting and newer stainless steel appliances. Custom paint throughout as well as popcorn ceilings removed and re-textured. Larger east facing patio. Warm and welcoming 55+ resort style active retirement community. Participate as much or as little as you want. If you are looking to build equity in this market, this home is the one for you. There is so much potential in this sweet single-story home nestled in the foothills of Lake San Marcos. It is easy to imagine your new gourmet kitchen in this bright open floorplan. If you like to entertain, you are going to love the 22x18 sunroom and private backyard. Newer roof and furnace. Be sure to click on the attached video for a better view of the home and lot. See the supplement below for community information. JUST REDUCED! 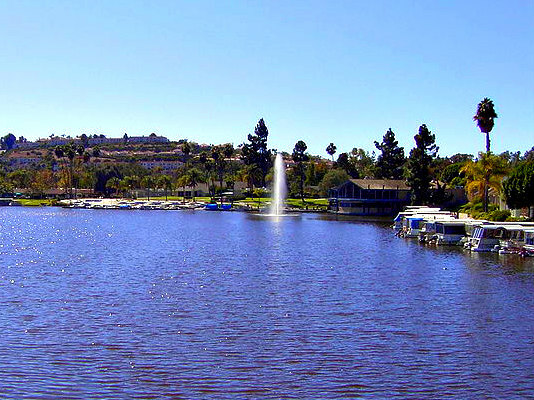 Wonderful location in the vibrant 55+ community of Hunter Valley in Lake San Marcos. Come see this home and have lunch at the Lake! If you haven't been here in the last year, you haven't been here at all. At the end of the road just next to a big grassy lawn under a shade tree is 1123 Los Campaneros. You will love this charming home both inside and out. Spacious and bright with tons of windows and soaring ceilings. Lake San Marcos: Its a Lifestyle. Golf.Dining.Clubs.Pickleball.Boats. lovely 2bd/2Bth single story home. Fresh painted through out and new granite counter tops. This tidy home is a blank slate for a buyer who wants to add their own touches. It's a quiet, friendly community where neighbors get to know each other. One of the Best 55+ resort-style retirement communities in SD. Spacious 2 beds/bath unit, open living space concept, cozy fireplace w/ glass-slider to roomy balcony w/storage, move-in ready. Master Bedroom has walk-in closet, 2nd Bedroom has white oak ensemble office set up & w/ matching builtin Murphy-bed & shelving unit for great utility, also has access to balcony. HOA fee includes many amenities, meals, all basic utilities covered except for monthly SDGE bill & much, more. Visit website to learn all. Spacious home with views of mountains in San Marcos Lakes! This is resort style living at its best! The 2 full bathrooms have been upgraded. Newer heat and a/c installed. There is an enclosed patio off the kitchen not included in sq ft. Peaceful backyard! Walking distance to high school, stores and the lake! Buyer to verify all. One of the Largest Homes in Lake San Marcos! This oversized 3 bedroom, 3 1/2 bath with office boasts 3000 sqft. of family living with large patios for entertaining! Huge gourmet kitchen with spacious countertops and island, stainless appliances, walk-in pantry. Incredible Master Suite with upgraded Bathroom and walk-in closet. New windows, slider, flooring. Upper property has sweeping views from the lake to mountains! NO HOA FEES. Enjoy the Hidden Jewel of North County! Stunning remodel of this single-level 3 bed/2 bath home on beautiful St Mark Golf Course in highly desirable Lake San Marcos. Home boasts open modern floor plan with tons of natural light and expansive views of the golf course and mountains. Completely new interior includes kitchen, quartz countertops, high-end stainless appliances, bathrooms with custom tile work, flooring, paint, windows, doors, lighting, etc. Very spacious fully fenced backyard. This is a must see! Location, Views, Preferred Floor Plan are just a few of the many special features. Open floor plan, 3 bedrooms (huge master suite) with sitting area, large walk in closet, large master bath with separate vanities, jacuzzi tub and separate shower. Spacious living room with large corner fireplace. Gourmet kitchen with large breakfast bar, granite counters, stainless steel Bosch appliances, garden window, and walk in pantry. French doors to patios from living room, dining area and master suite. See Supp. Come home to this 5 Star Retirement Living in Chateau Lake San Marcos - one of the best independent 55+ communities you can find! This is one of the brightest units in the complex with cool breezes and open area views of trees. -updated marble fireplace -berber carpet -Upgraded kitchen with custom paneled cabinetry - custom shutters leading to patio - large walk-in closet with built in shelving and newly painted patio with storage -covered parking space w/storage.